This lineup was headlined for me by the two beers of Kiwi origin. 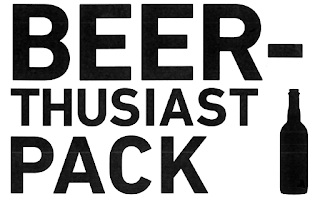 The Tuatara Amarillo is a hoppy Dark Ale, which I found very impressive when I tried it a weeks before sampling it in this pack, while the Yeastie Boys Bigmouth is the first beer brewed at their Australian facility. 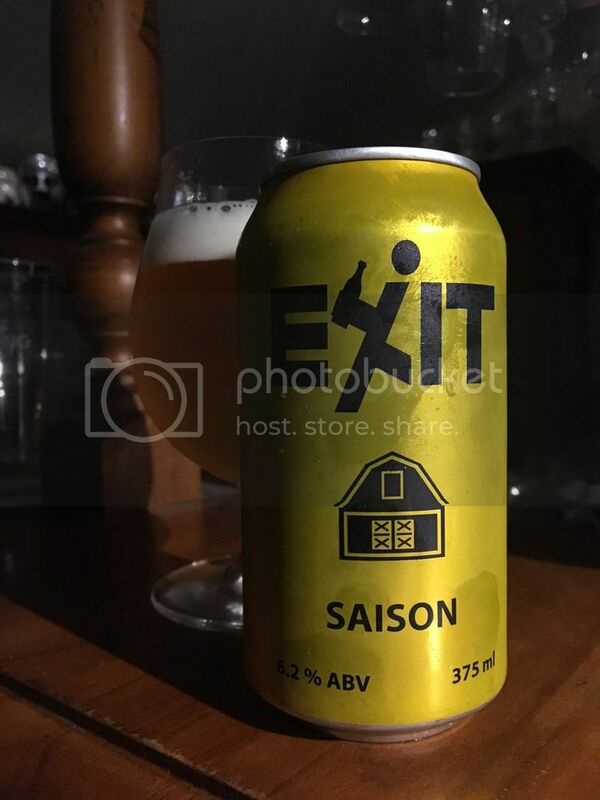 Of the 5 Australian offerings the Exit Saison stood out to me as a beer I was excited to try, whilst I always enjoy trying the 4 Pines Keller Door releases. As a self confessed Exit fanatic, I was really surprised that I hadn't tried their core Saison since its release. Having initially launched their brand with a Saison, you know these guys have a strong affinity with the style and are not going disappoint with their core range offering. This was probably the beer I was most excited to try in the pack after Dylan had (massively!) hyped it up to me! "I was worried going back to this after a little while would challenge my stance of this being the best Australian brewed saison around...but it’s even better than I remember out of the can! There’s a lot of savoury yeast character, some lemon driven spice, honey malts and a real meaty body to it all. Finishes dry which is always important and brings it all together. I might be hotter on this beer than many people but I’d be shocked if anyone who enjoys the odd saison isn’t a fan." I have to concur here; this was a seriously good Saison! I'd love to know what yeast they've used, as they've managed to illicit this wonderful lemony pepperiness, which to me really makes the beer stand out. I'd put it right up in the top echelons of Australian Saison's; alongside the likes of Boatrocker, La Sirene & Bridge Road. I enjoyed it so much, I've already had a couple more since I had this for the first time in this pack. I still vividly remember this beer being announced, quite why I'm not sure... It was the first beer released by Temple after the departure of founder and brewer Ron Feruglio and one that I haven't tried for the best part of two years. I'm looking forward to trying it again, as I remember it as quite an impressive Stout, with plenty of hops leaving it quite dry and bitter. 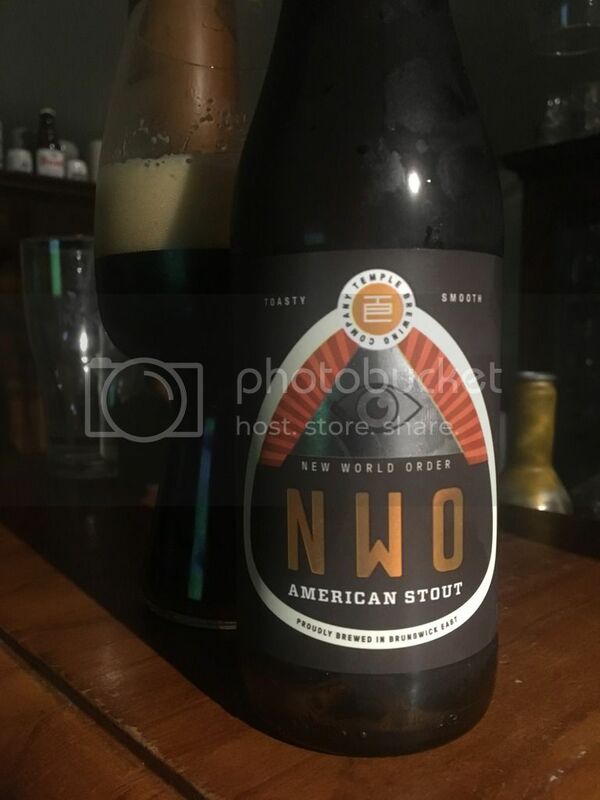 "Just a tasty, straightforward American style stout. Not a heap of roast in the flavours but the malts are very rich, plenty of dark chocolate in there. There’s some pepper that comes out more as it warms and complements the richness nicely. There’s light bitterness throughout and a touch of sweetness on the finish. " I was pretty excited when I heard New Zealand brewers Yeastie Boys were opening their second overseas brewery (after the U.K.) in Australia. 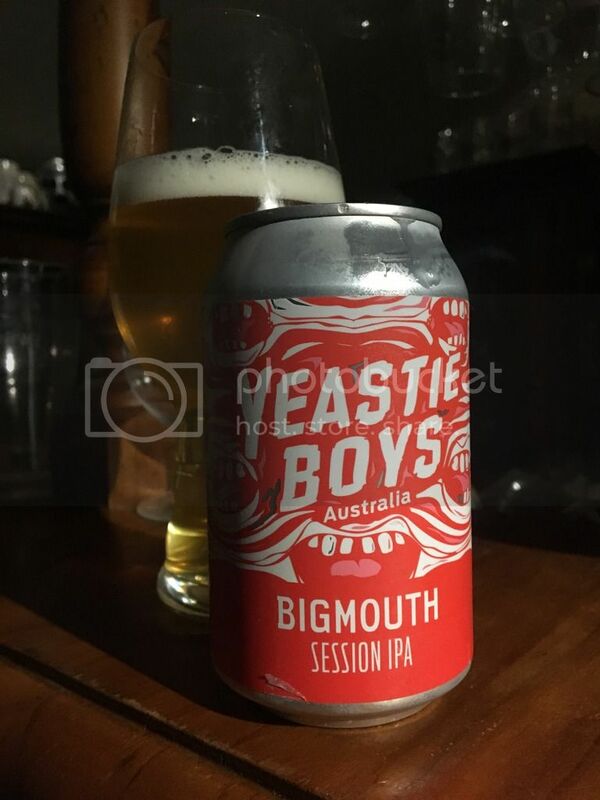 The brewery has been setup in partnership with leading distributors ExperienceIt and will see fresh Yeastie Boys beers available Australia wide. Bigmouth is a Session IPA which, from the description, definitely has Nelson Sauvin hops in it (like any self respecting Kiwi leaning beer!) alongside a host of other tropical fruit hops! "This is delicious! Yeastie Boys always seem to make beers suited for my palate. Body isn’t too light which I think is important for a session pale, need a little something there to hold it all together. Hops are wonderfully fruity, but not in the generic ‘tropical fruit’ sense that a lot of beers go for. There’s lychee, peach, apricot and a couple of other things I can’t quite place. Almost a sauvignon blanc kind of tropical rather than the normal mango/pineapple explosion for mine. It’s juicy and very tasty, I’ll definitely be back for more." 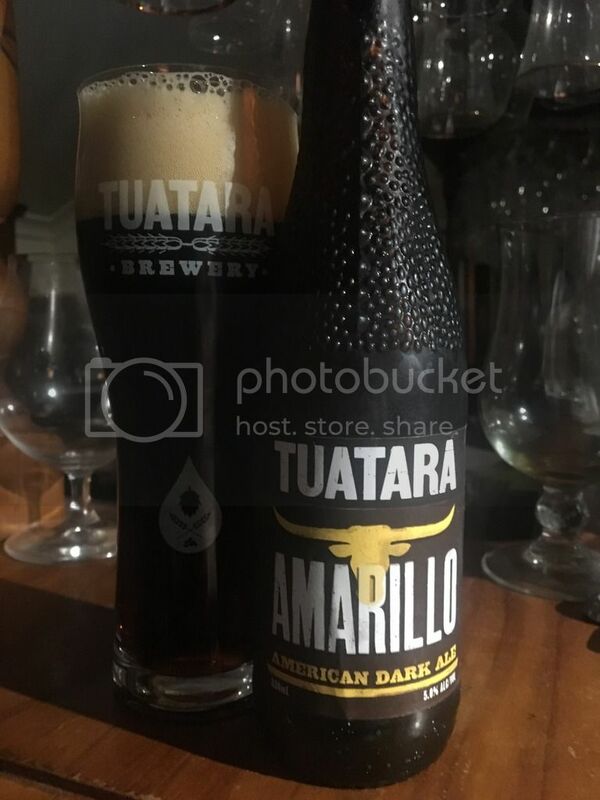 When Tuatara announced that this beer, an Amarillo hopped Dark Ale, was coming to Australia in late-January my interest was piqued. A subsequent search for the beer proved fruitless, despite coming across many of the other beers announced at the same time, until a couple of days before this pack arrived... Thankfully I was very happy to have two! "This is a great example of how to do a dark ale. Don’t make the body too heavy but make sure you still stick with plenty of roast flavour and plenty of hops. It’s easily drinkable but there’s a lot to it. Citrus and coffee lead the way in terms of flavour and it finishes smooth. 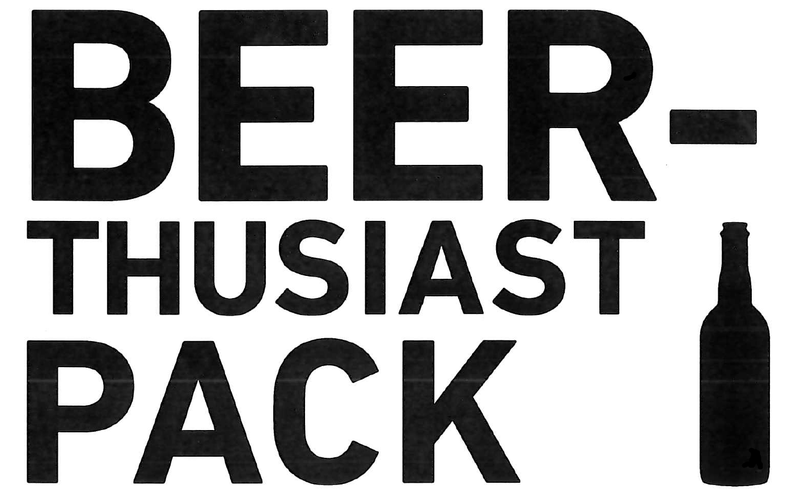 I haven’t had a bad beer from Tuatara and this one definitely continues that record." Despite my high expectations of this beer, something that often leads me to disappointment, I was really blown away by this beer; it's close to my perfect Dark Ale! The body is thinner than it looks, whilst the malt provides nice roast and chocolate flavours. There's also a bit of sweet caramel, which lays the platform for the citrusy (orange and tangerine) hops to cut through and provide a complimentary flavour and adequate bitterness. It's incredibly drinkable! Vienna Lagers are a style that aren't particularly suited to our climate. That little bit of extra malt should provide complexity but often just adds unnecessary sweetness. When done well they can be phenomenal, unfortunately most aren't done well... I haven't had the Himmel Hünd version before, however my first impressions of the packaging are positive - it's a striking label! "Eye catching label! Enjoyable little lager, earthy and malt driven. 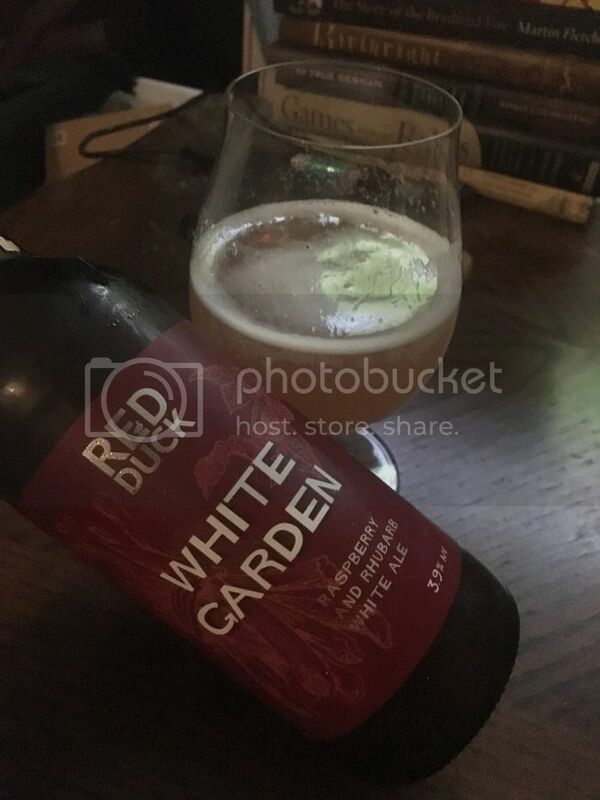 Not particularly exciting but well crafted - if you wanted something on a warm day that had a bit more heft to it than your average lager then this would be a great choice." Personally I don't think I'd re-visit this beer. There was nothing inherently wrong with it, I just felt it didn't do enough to keep me interested. Although in saying that, I'm not sure how fresh the stock we sampled was... It tasted a little old and oxidised. If you're into lagers it may be worth tracking down, just maybe check how recently it was brewed. I think I've made it clear on this blog before that I always think it's worthwhile picking up the 4 Pine Keller Door releases when they come out. This one is an IPL, a style that is rarely produced by brewers and a style that is even rarer to find done well! 4 Pines have jumped on the hoppy beers infused with Grapefruit train that was 2016 with this IPL and I'll be interested to see how it finishes. "I’m not 100% on IPLs - I’ve had some good ones and some that just confused me as to why the brewer bothered. You get some interesting flavours and finishes from them, similar to imperial pilsners, that you won’t get anywhere else but I’m just yet to have that one beer that totally turns me onto the style yet (I’m talking the kind of beer that’ll make me seek an IPL out over a new IPA). 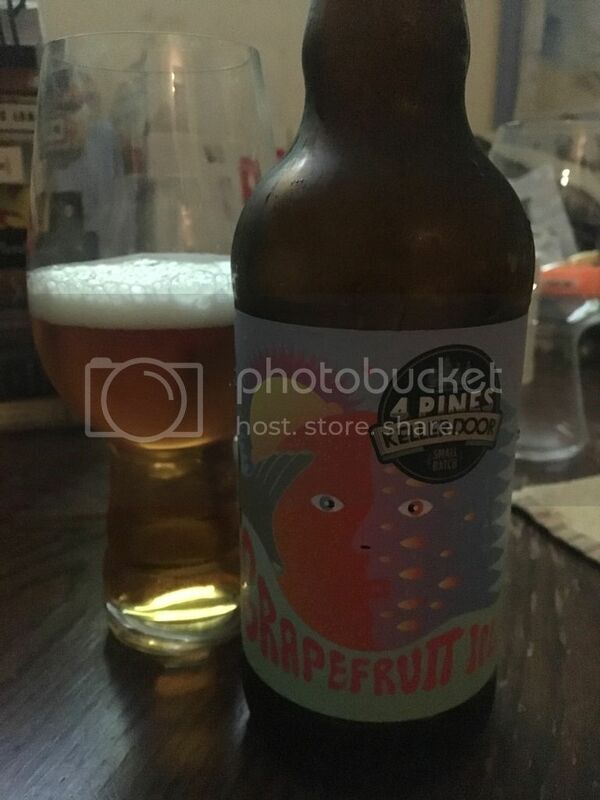 This beer isn’t quite the one but it’s definitely one of the better ones I’ve had, the grapefruit is really there and it finishes very smooth given the solid whack of bitterness. It’s a bit like a fresh grapefruit jam with bunch of the peel and pith thrown in. 4 Pines definitely hasn’t held back on the hops and it’s what makes the beer work above all else." Red Duck are best known for the weird and (sometimes) wonderful beers they produce. This purports to be a raspberry and rhubarb infused witbier that has been crossed with a Berliner Weiss. I've had a couple of iterations of this in the past and been pretty underwhelmed... Their quality has appeared to pick up since their new brewer came on board so I'm going into this with an open mind. "This was surprisingly not particularly weird by Red Duck’s standards! It’s apparently part witbier, part Berliner weisse but it certainly seemed to be firmly in the fruited witbier camp to me. There’s a fair bit of wheat there, with the fruit being complementary rather than at the forefront. It reminded me a touch of Bad Shepherd’s Raspberry Wheat. The rhubarb was very subtle - possibly a victim of the raspberry outshining it in terms of flavour - but what was there worked well. 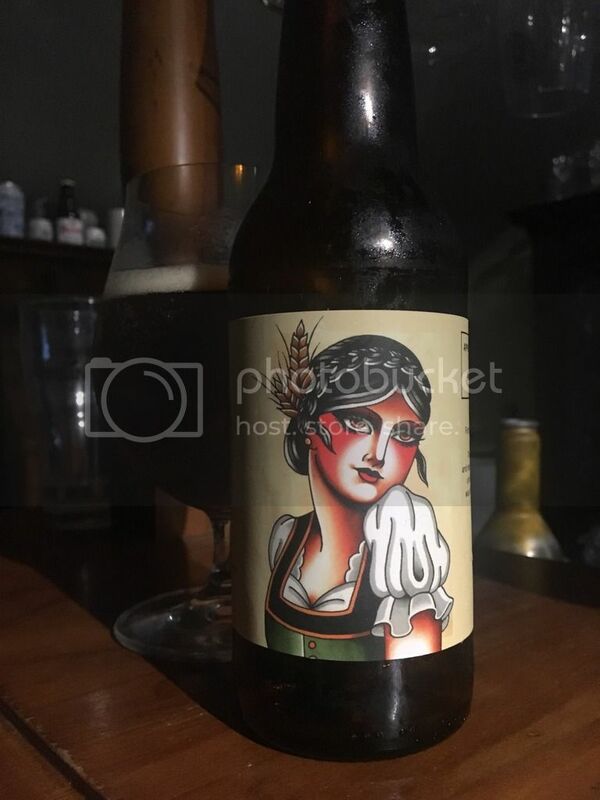 I enjoyed this without loving it, it was definitely refreshing and I liked the way the flavours worked together but not something I’d seek out again in its current form personally."